Managing Director of Succinct Communications, Anne McGregor-Lowndes has a simple approach to doing business. Anne’s mantra is to deliver solutions with a creative edge; solutions which will make a business stand out from the crowd. Anne’s view from 30 years in the industry, is that clients want personalised service from a well established and respected communications professional. 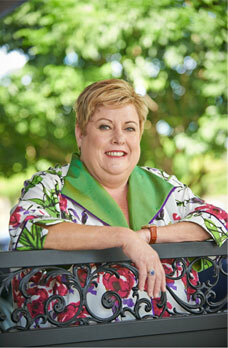 With a journalism based background in radio and television, as well as working in a Lord Mayor’s office in community relations, Anne set up the award winning company, “The Corporate Advantage” in 1990. Over a span of 18 years, this company forged international links and serviced high profile national businesses. It was bought by a multinational advertising agency in 2007. SUCCINCT Communications, Anne’s current business venture, meets the needs of companies requiring a fresh approach to marketing and communication. It’s all about being Succinct – not necessarily re-inventing the marketing wheel. It values highly- personalised service, creative delivery of solutions and working with clients as part of their team when and as required.